Mysa Smart Thermostats is proud to partner with fellow NL firm Sharp Management to purchase locally generated Carbon Offsets with the goal of becoming completely Carbon Neutral. In keeping with the company’s green values, CEO and founder Josh Green wanted to find some way to make up for environmental impact that comes up with operating a company of this size. When presented with the option to purchase Carbon Offsets, he was able to calculate the company’s emissions at about 96 tonnes – valued at $2400. This includes all office electricity and energy use, as well as both local and international transportation for the whole year. As a growing figure in the Newfoundland green economy, Josh thinks that Mysa can help set a precedent for other companies to follow suit and purchase Carbon Offsets – a purchase which benefits the communities where the Offsets are generated. Sharp Management is the first Newfoundland-based company to offer certified Carbon Offsets, generated by engineering a natural wetland sewage treatment program in Stephenville and Appleton-Glenwood that offset 55,000 tonnes of CO2. By passing on these carbon savings to local companies, 50% of all revenue generated by the sale of these Carbon Offsets is immediately split with both municipalities, helping to make their sewage systems more sustainable and hopefully zero cost to operate, and also overall growing a greener, more eco-conscious province. Developed in St. John’s, Newfoundland, Canada with the goal of helping the world save energy, the Mysa Smart Thermostat has found a home in thousands of North American households throughout 2018. 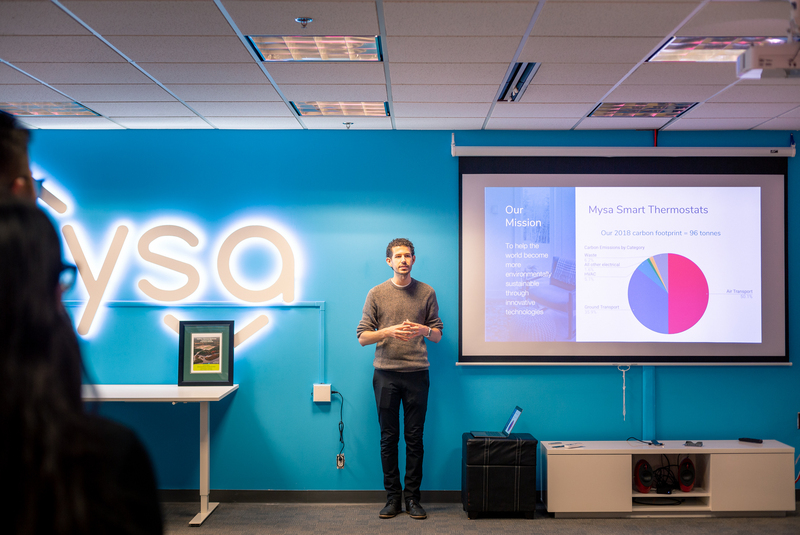 Mysa has become the market leader for smart electric heat management, allowing homeowners to cut their own bills by up to 26% while offering more control and precision than traditional dial or programmable thermostats. While smart thermostats have been on the market for years, none were compatible with electric heaters – the source of heat for a sizeable number of households in Newfoundland & Labrador. 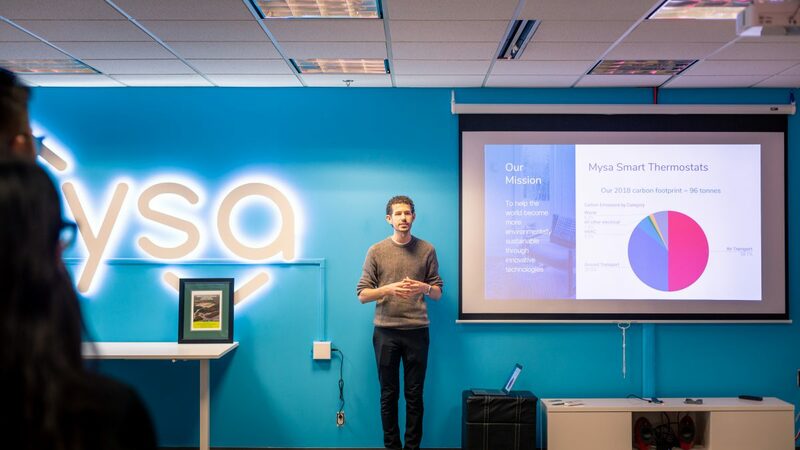 Supported by investors from across Canada, Mysa has become one of the fastest growing, highly touted local technology companies in the province since its 2016 inception. At over 30 employees (and growing), the transition from tiny startup to established international brand has been a whirlwind for the eco-conscious founders, brothers Josh and Zach Green. Mysa and Sharpe Management made the joint announcement on Friday, November 2nd at the Mysa Headquarters. this is awesome! great leadership and work. thank you.